The Harmony at Home Cambridgeshire office is owned and run by Kate Rich in Linton. We provide a wide range of childcare services for parents throughout the region covering Cambridge, Ely, Huntingdon, St.Neots, March, Chatteris, Wisbech and Peterborough. Making use of our extensive range of experienced and suitably qualified Nannies and Child carers, as well as recruiting specifically to meet your personal child care requirements. Our aim is to provide a bespoke service taking into consideration each individual’s needs in a sensitive and professional manner and always with the highest levels of attention to detail. 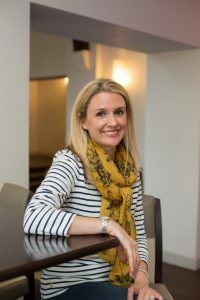 Our recruitment consultant and branch owner Kate Rich has extensive experience within recruitment, and has been trained to our exacting standards. Kate is highly regarded by all who work with her, and she is passionate about excellent childcare. From her office in Linton, Kate delivers a premium and straight forward service to you. Kate’s focus is on excellent customer service for parents and work seekers. Kate visits parents in their homes and meets all her nannies and work seekers face to face, to ensure peace of mind. We provide childcare services across the entire Cambridgeshire region. Please contact us to find out how we can help you in your area. We are always happy to hear from friendly, competent and dedicated childcare staff working across the County of Cambridgeshire. If you are a child carer looking for exciting and fulfilling new placements, please contact Kate here. “Such a friendly, efficient and professional service from Kate. I felt supported and confident in being able to find the right nanny to look after my daughter and I would definitely use Harmony at Home Cambridgeshire again. My experience was of consistently high quality and Kate found my perfect nanny.” Eleanor Post, Ely, Cambridgeshire. “This is the first time that we used Harmony at Home Cambridgeshire, and our experience of Kate Rich was of a consistently high quality. We are very pleased with the experience in general: very efficient, quick answers, personalised attention and, most importantly, we feel we found the right nanny in record time! We are very pleased with the Nanny Kate found us. She is fantastic with our daughter!” Raquel, Cambridgeshire. “Thank for you a wonderful service. I needed a nanny for our baby and toddler at short notice and had a long set of requirements, but you met them all and we have been delighted with your customer service.” Sally, mother of two, Cambridge. “This is the first time we used Harmony at Home Nanny Agency Cambridgeshire. Our experience was of consistent high quality and speed of service was quicker than expected. Communication was very efficient. Kate found us our perfect nanny. Overall our experience was great, Kate was very helpful and always willing to talk to me about the process, answer my questions or hear my worries. She made the daunting process of hiring a nanny very easy and I wouldn’t hesitate to recommend her services”. Lucy Moody, Cambridge. Contact Kate by phone or email, and she’ll be in touch as soon as possible to discuss your childcare requirements. Services Provided: Nannies, Nanny PA’s, Nanny Jobs, Nanny Recruitment, Mother’s Helps, Emergency Childcare, Holiday Nannies, Mobile Crèche (Events, Occasions, Functions), Babysitting, Night Nannies. We can recommend lots of fun activities for families, nannies and children in Cambridgeshire and Peterborough.